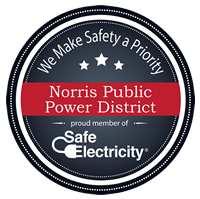 Norris Public Power District is an equal opportunity employer that offers competitive wages and outstanding benefits. Interested applicants should mail their resume to Norris Public Power District Attn: Jamie Niederklein – Payroll and Benefits Administrator, 606 Irving Street, P.O. Box 399, Beatrice, NE 68310 or e-mail to hr@norrispower.com. For more information on possible job opportunities, please contact us by email at hr@norrispower.com or call 800-858-4707.